NASHVILLE, Tennessee. Despite a display that was disjointed at times, Mexico was able to defeat New Zealand 2-1. Giovanni Dos Santos (29′, pen), and Marco Fabian (59′) had the goals for Mexico in the winning effort. Marco Rojas (46′) got a consolation goal for the All-Whites in his side’s loss. 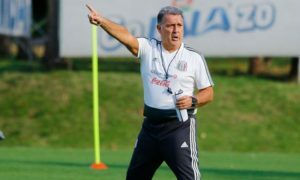 Manager Juan Carlos Osorio elected to start his team out of a 3-3-3-1, with the LA Galaxy striker (Dos Santos) named captain of the side. 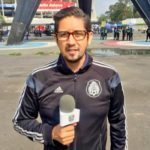 Not surprisingly, El Tri started the match failing to connect its passes and organize an attack beyond midfield. Eventually, Mexico found its fluidity and movement on the ball. However, New Zealand had the first chance of the game after a poor back-pass for Jesus Molina found its way onto the boot of Kostas Barbarouses. The Wellington Phoenix striker forced Jose de Jesus Corona to make a diving save on a rising shot. Things would get better for El Tri. 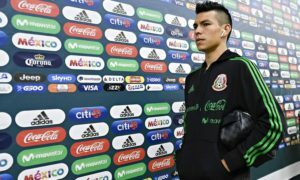 On their first real chance of the game, Hirving Lozano earned a penalty after Winston Reid took down the attacker inside the New Zealand penalty area. Lozano had been played in on a one-two from the right. Giovanni Dos Santos converted the penalty in the 29th minute to open the scoring for Mexico. The goal was Giovanni’s eighteenth goal in a Mexico shirt at the senior level. After that, both sides created what looked to be scoring chances from poor positional reads and passes in defense and midfield, but nothing came of the chances as the first half came to a close. However, as soon as the second half started, Marco Rojas equalized the score for the All-Whites. Rojas finished off a poorly-defended low cross with a sliding tap-in. Thirteen minutes later, Mexico restored the lead as Marco Fabian finished off a quick passing play inside the New Zealand penalty area. Jesus Gallardo and Marco Fabian started with a one-two (from a wide to central position) that played Oribe Peralta into the penalty area. Peralta played a further low ball back to Fabian who finished the play off with a simple shot that beat Marinovic to take the lead to 2-1. As substitutions ran in, the flow of the game died. And so, Mexico earned its ninth victory in 2016 in all competitions. 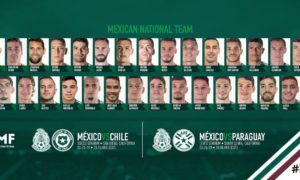 The match also saw three players–[Jesus] Gallardo, Jordan Silva, and Hedgardo Marin–all make their full international debuts. El Tri will travel next to suburbab Chicago to take on Panama on Tuesday, October 11. New Zealand, who had put on a better display than many expected against Mexico, travel next to Washington DC, where they will take on the United States men’s national team. That match will also be played on October 11.